The “McPherson 2” repeater on 443.850 is digital only using an MMDVM with DMR, Yaesu System Fusion (YSF), and D-Star digital modes enabled. The DMR mode is networked to the K0USY KS-DMR Network. The YSF mode can be linked to any YSF Reflector. 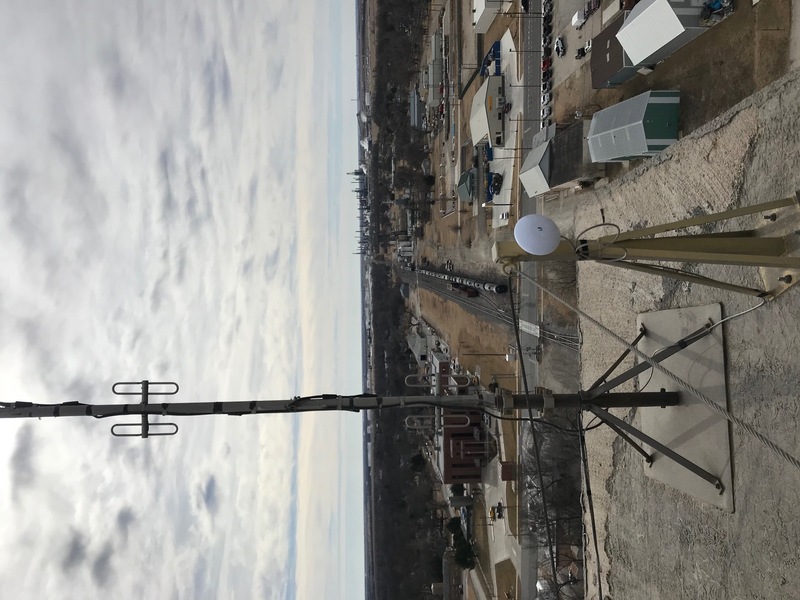 This repeater offers excellent coverage in the entire city of McPherson. The D-Star mode can be linked to any XRF Reflector. DMR traffic constitutes 99% of the usage on this repeater. Antenna: DB-408 at 120 feet, Belden 9913 transmission line. Your radio will need one channel programmed for every talkgroup you intend to use. Select the channel programmed with TS1:TG9. Go into your contact list, select the talkgroup you wish to link to and key PTT with the desired linked group selected. This activates the link. Let the repeater drop, then talk as normal on TS1:TG9. The linked group ID’s are to be used for in-band signalling to trigger link activation, not to talk on. All voice traffic for linked groups happens on TS1:TG9. Please don’t do this to “lurk” on a group. Linked groups remain active for 30 minutes after the last local transmission, and only one linked group is available at a time. Please do not transmit on any groups not listed above. Brief private calls on slot 1 only. Talkgroup 31203 is bridged to YSFReflector US-KansasLink. Talkgroup 3120 is bridged to YSFReflector US-Kansas3120. In AMS mode, set any TSQ or DCS tone/code. This prevents you from hearing the DMR bitstream which cannot be decoded by a Fusion radio and allows you to scan this channel within a list of analog and Fusion repeaters. This repeater is normally not linked to any reflectors. You can link to other reflectors by entering WiRES-X mode on your radio and selecting your choice of reflector. Please un-link the node when you are finished using it. Don’t link to a reflector just to listen or “lurk”. If you link, talk on it. YSFReflectors are an open-source alternative to the official Yaesu WiRES-X network. You cannot access official WiRES-X nodes or rooms via this repeater. If the repeater is busy with DMR traffic, do not transmit until the repeater is available. Please use only the DN voice mode. The VW mode does not work through the DMR cross-link and does not offer robust bit-error correction. 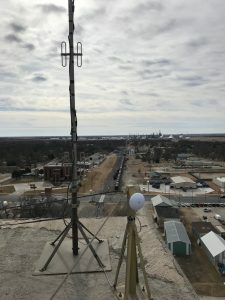 US-KansasLink is not the same thing as K-Link and the two networks are not linked together.